One of the exciting parts about playing golf is that there is always room for improvement. Taking lessons with the golf pro can become prohibitively expensive; however, there are plenty of actions you can take on your own time with little or no cost to help improve your golf game. 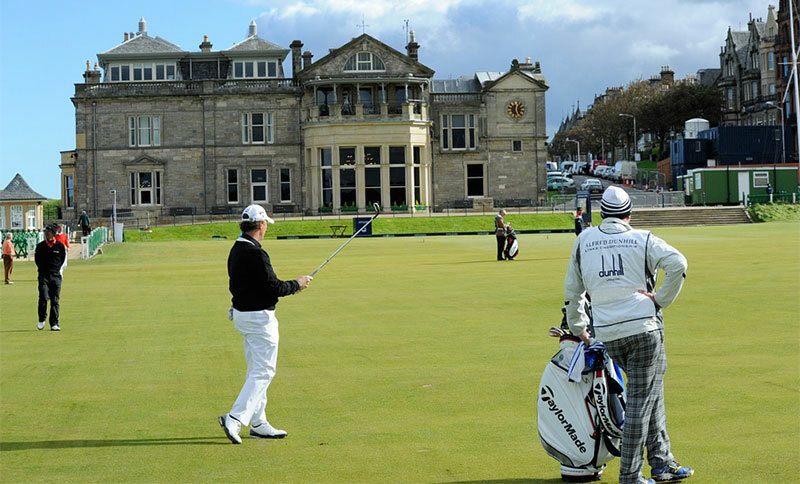 Here are our top tips on improving your game without the help of the golf pro. This may sound like the obvious, but if you want to improve your game you need to be out on the golf course. Improving your golf game requires many hours of repetition so you need to get out on the course as often as possible. If you have limited time then you can install a practice net at your house and get your practicing hours in there. There are also some very affordable home putting sets on the market that you can you use to practice your short game. You should conduct an inventory check of all your equipment. Clubs wear over time and could actually be hurting your golf game. You should replace any clubs that are worn with new properly fitted clubs. You will mostly likely see an instant improvement with new, custom fitted equipment. The most effective way to improve your game is to understand what your weaknesses are and then work to improve on those. You can ask a fellow golfer to take a look at your swing or your short game and give you feedback. Once you have feedback you will need to spend time practicing on your weakness until it is improved on. More often than not, golfers spend too much time hitting balls on the range practicing their long game and do not spend enough time in on their short game. The experts say you should practice putting for an hour before playing a round of golf. When you have a weak short game, it makes your tee shots more stressful than they need to be. Knowing where you are making contact with the ball on the iron is very important information to have so you can improve your game. You can use a dry erase marker on the iron next time you play in order to see where you are hitting the ball. Golf is an exciting game and it is easy to find yourself with your heart racing at a difficult shot. You should learn to use controlled breathing methods on the course to keep yourself calm and collected. Being calm on the golf course will make sure you are playing well and consistently. Let’s face it even the best golfers find themselves in the woods trying to figure out how to get their ball out from behind the tree. You should practice the most difficult scenarios so you are better prepared for them when they happen and they do not mess up your entire round of golf. If you watch the professionals play, you will notice all of them follow the same routine on the course. You will notice they walk the course at the same pace and have the same pre-shot rituals. There is no science to a successful routine so you will need to figure out what works best for your game over time. Great golfers are not born overnight, it is a challenging game and it can take years to become a really good golfer. By being honest with your abilities as well as your limitations you will enjoy the process of learning much more. Golf is a game so at the end of the day it is important to have fun! A lot of people think that golf is not a sport that players have to be in great shape to participate. It is true that many players can participate in the sport without necessarily being in terrific physical condition, but it is also true that being in good health and fitness can make a golfer a better player. Golfers who want their physical health to be an advantage in the game need to adopt a total body approach. Physical strength is an attribute to work on, but bone strength also helps, and endurance is another attribute that matters a great deal. Too much muscle mass can actually prove a hindrance to a good golf swing, so working on overall strength plus physical endurance is a good way to play golf better. Any golf player that wants to truly master the sport needs to go over both the strategies and the rules of the game as thoroughly as they can. Combining this with overall physical conditioning can make a very successful preparation tactic before getting on the links. Once a golfer is actively playing, then getting adequate rest is very important. Golfing seems so easy that many players perhaps play too often, but lots of walking and repetitive swings or hunching over putting can take a toll on a body that needs time to recover between rounds. This is when muscles actually build their new mass. A minimum of seven hours of sleep a night is a must, and nine is even better. Rest should also take place as rest days between exercise days, so that the whole body can recover from the strain of exercise. Working out through weight lifting, strength training, or resistance training should focus on creating lean muscle mass across the whole body, not just the arms and shoulders. Powering good shots off the golf tee is not about how hard a player hits the ball, but how well, and this is a foot-to-head full-body effort. When working out with weights, lower reps with higher weights often yields the best results. Workouts like this build strong muscles and maximize bone density. Such workouts should take place at least three times a week, but never more than four so that rest days can take place often enough. Boosting endurance is something of an open secret among successful golfers. Fatigue can drain performance levels over many holes of golf. Aerobic endurance lets a player keep up their productivity over a day of golf, as opponents possibly get worn down. The easiest way to build endurance is to simply go out and do any kind of aerobic exercise for sixty straight minutes across five days of any week. Running is an obvious choice, but walking also often works. Stair climbing and dancing also count. When you focus your golf preparation efforts on proper rest, endurance, full-body strength, and knowing the rules and strategies of the game, you can maximize your performance on the course.